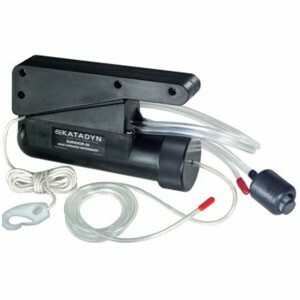 Katadyn Watermakers offers a range of hand-operated desalinators / watermakers for emergency use in life rafts and survival kits, or as a back up for your powered desalinator. 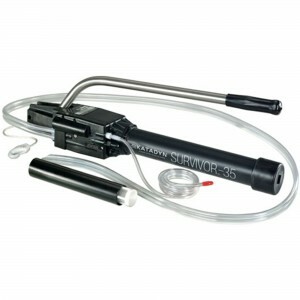 The Survivor 06 model is recognised as the worlds smallest hand operated watermaker and is thus idea in these applications. 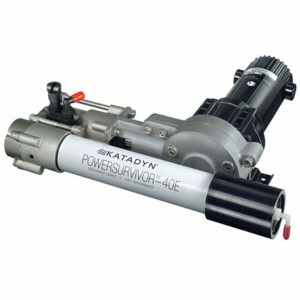 To complement these small hand-operated systems, Katadyn also offer a range of larger DC powered watermakers which feature energy recovery technology to allow operation directly from your battery bank. These are ideal as offshore yacht watermakers due to their low energy consumption, and in the case of the 40E, its ability to also operate manually in the event of an emergency or flat batteries.